Does it seem like, no matter what you try, the anxiety will never get better? Anxiety is one of the most common reasons for why people seek counseling. Do you feel on-edge or restless? Do worries and fears keep you up at night, tossing and turning as your mind wrestles with the unknown? Do you experience bodily aches, nausea, pain, or tension in response to stressors? If you answered “yes” to any of these questions, then you could be struggling with anxiety. Even here in beautiful Connecticut, life continues to give her fair share of things to stress and worry about. Some people are able to find support and learn to cope with these feelings, while others are left to manage anxious feelings without proper direction. Left untreated, symptoms of anxiety can deteriorate one’s quality of life and spoil otherwise enjoyable experiences. So, how do you overcome feelings of anxiety? Read on to find out. In order to understand anxiety, you first need to understand fear. Fear is an experience of mental (i.e. worry) and physical (i.e. racing heart) symptoms that are designed to motivate us to act. Fear can be helpful, as it helps us feel motivated to get away from dangerous situations and stay safe. For example, if you were approached by an angry rhinoceros, you would want to feel afraid and motivated to run away, rather than happy and wanting to hug it. In that way, fear is quite useful. Most of us are not attacked by rhinos very often, but we can imagine what that might feel like and plan ahead accordingly. And because humans are able to think about future or anticipated fears, we tend to cause ourselves a great deal of distress. ﻿Anxiety can be categorized into two main groups: healthy and unhealthy. Healthy anxiety helps motivate you to prepare for something important, like rehearsing a speech. Unhealthy anxiety, on the other hand, keeps you from living well and being happy, such as being overwhelmed while giving the speech. As you might imagine, unhealthy anxiety can derail an otherwise healthy life experience. Do not allow unhealthy anxiety to get in the way of you living your best life. By finding support and using coping skills, you can again find peace and control. How can I cope with Anxiety? Develop some anxiety tolerance. In The Princess Bride, one of the characters develops a tolerance to poison by ingesting small amounts of it over time so that it lost its lethality. Similarly, you can learn to develop tolerance to your anxiety over time by exposing yourself to the things that make you anxious. This is easier said than done, and it can often help to try this with the support of a trusted friend or therapist. Practice mindfulness and deep breathing. If you are experiencing anxiety about a future event, try using a guided mindfulness meditation video to re-center yourself on the present moment. These often also include deep breathing exercises to help down-regulate your sympathetic nervous system and reduce your bodily reaction to the worry. Be physically active for at least 15 minutes per day. You can alleviate many of the symptoms of depression simply by adding some sort of light to moderate physical activity into your daily routine. This doesn’t need to be overly strenuous, just enough to raise your heart-rate and help your body release some endorphins. Meet with a counselor! Therapy is the first line of treatment for anxious symptoms. You and your therapist will meet one-on-one to help you build insight about the cause of your anxiety and learn to cope with severe or long-lasting symptoms. I specialize in helping people overcome anxiety, and I am confident that we can make your life better. I offer a free phone consultation prior to our first session to help you get a sense for who I am and how we can work together. Please do not continue to suffer and struggle in silence. Take the first step and contact a counselor today. If you live in the Westport, Connecticut area, I would love to connect with you and learn more about your story. To learn more about me, click on About in the menu options above. You can also learn about the other services that I offer by clicking on Services. Or, to get in contact with me and sign up for your first appointment, click on Contact. My name is Inger, and I am here for you. 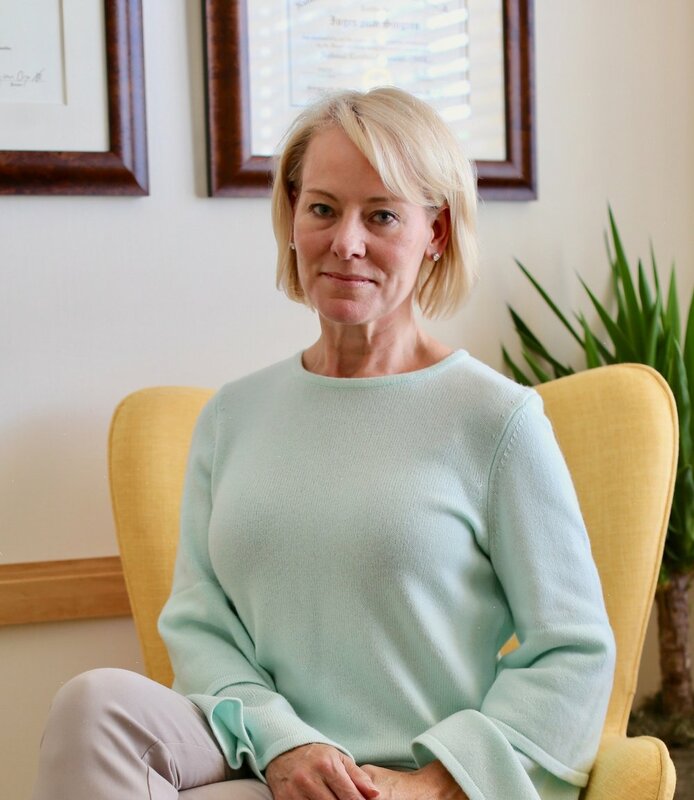 I am a licensed professional counselor and psychotherapist practicing in Fairfield County, Connecticut. My specialization is the treatment of anxiety using neuroscience informed techniques. I am certified by the Institute of Certified Anxiety Treatment Professionals (ICATP). My treatment draws from multiple modalities, such as Person-Centered, Psychodynamic, Cognitive Restructuring and Behavioral approaches to help maximize your progress. I focus on helping you feel heard, supported, and understood in pursuit of your goals. Your stories, needs, darkest hours and brightest moments take center stage when you are in my office. I strongly believe that, with the right support, you can have the life that feels healthy, meaningful, and whole. Bring me onto your team, and let’s work on your struggles together. I highly value the fit between counselor and client, and so I offer a phone consultation to help you and I get an initial sense for our capacity to work as a team. Feel free to contact me for a free consultation, or use the Contact tab above to sign up for your first appointment. I would love to hear your story and join you in your journey towards a better life.